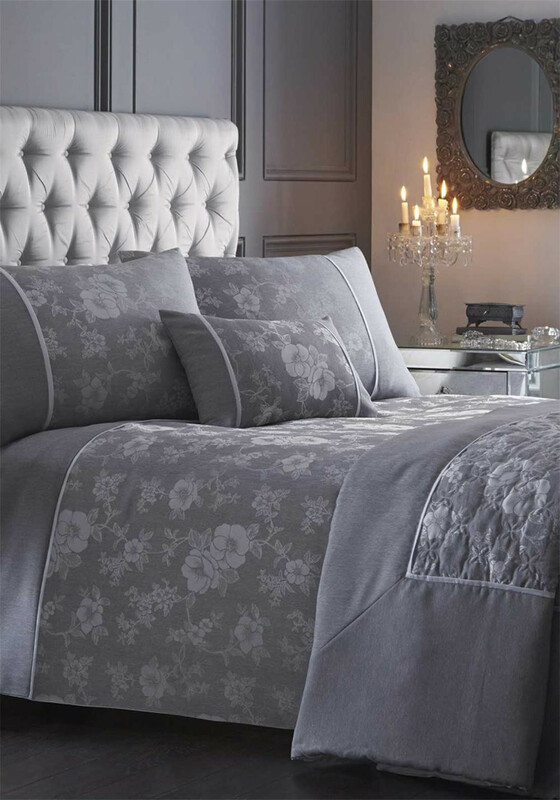 Portfolio present their luxurious Warwick duvet cover set which would be a sophisticated choice for any bedroom. Complete the set with the matching boudoir cushion. Made from lightly woven jacquard fabric with a floral print throughout. Comes with matching pillowcases.